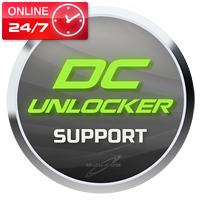 DC - Unlocker support access allows the use of the latest updates offered by DC Unlocker as well as File server. Additional Information: The keys purchased in 2011 and earlier, free support ends on 1 June 2014 for keys purchased after this date - October 31, 2014 . 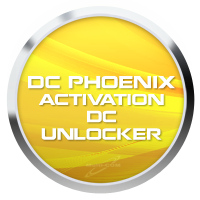 DC Phoenix Activation for DC Unlocker is an additional one-time unlimited activation for DC Unlockers users that allows for repair dead Huawei phones (eg. Honor 7 Mate 7, Ascend) without dismantling and perform any mechanical operation. From now repair Huawei firmware problems (Bricked, Bootloop, stuck on Fastboot mode etc.) take few minutes - no matter if the device got locked bootloader or locked FRP. 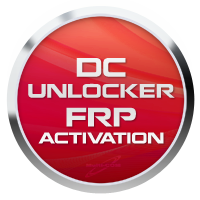 DC Unlocker Huawei FRP Unlimited activation allows to remove FRP from huawei based devices without any limitations. 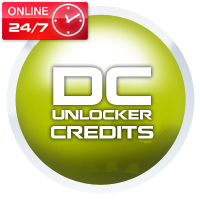 DC-Unlocker credits are special credits for unlocking USD modems. Can be addedd to existing DC Unlockerk key or to Vygis Dongle with purchased DC Unlocker activation as well as normal login and password for users who dont' have dongle and want to unlock small quanity of modems.